Above map graphics submitted by Dave Leach. 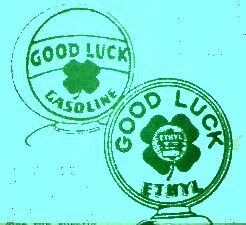 Good Luck Oil sign at 332 West Commerce St. (Oak Cliff side), Dallas, TX. 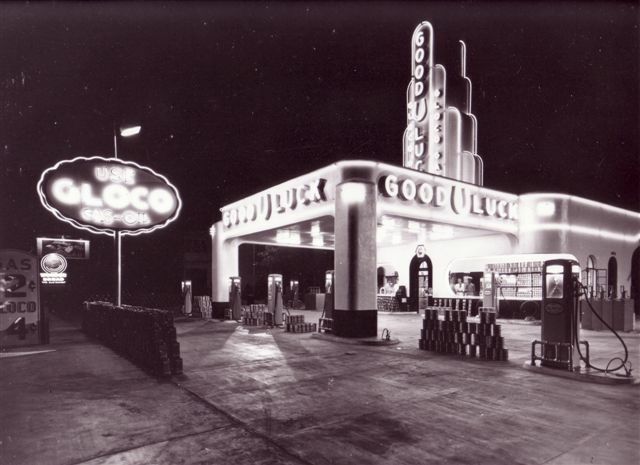 A nice shot of the old Good Luck station on Cadiz Street in downtown Dallas, Texas. building looks good. It has this tall fence around it now, probably to deter vandals. 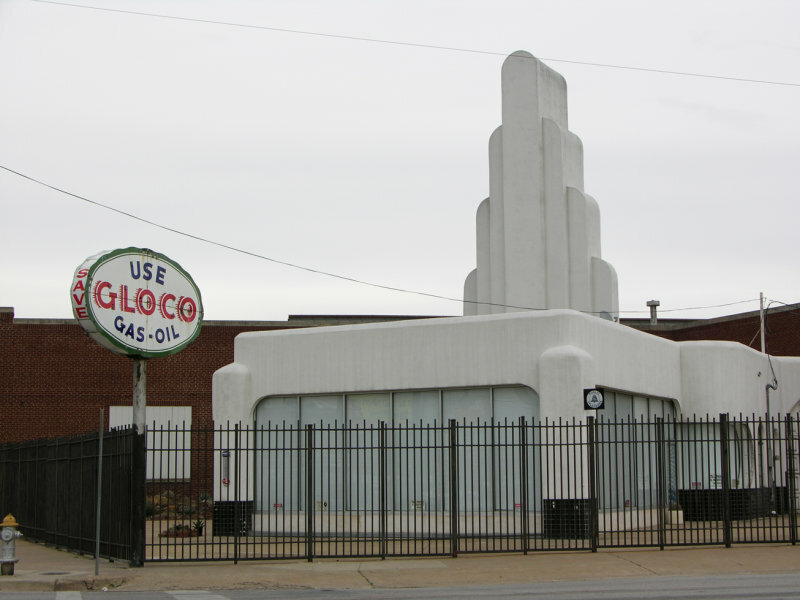 Photo taken Jan. 27, 2006 by David Aldred. 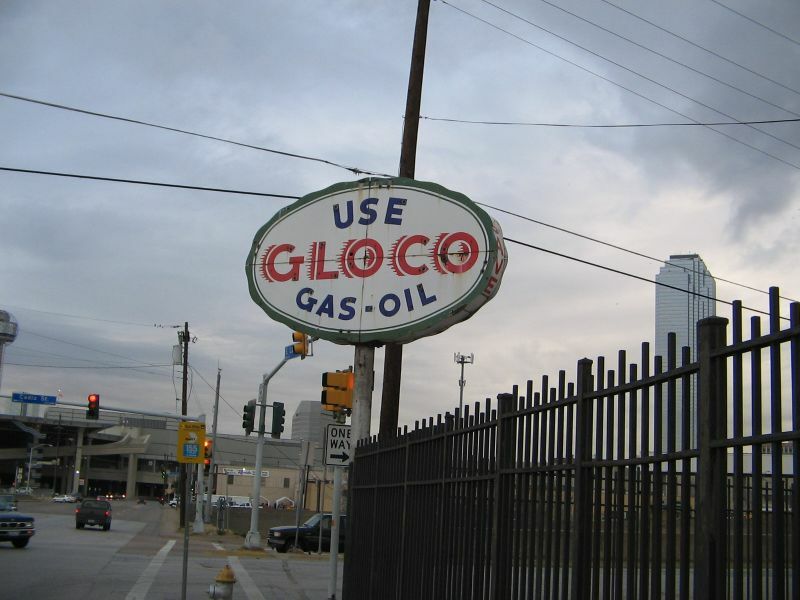 Another view of the restored Gloco on Cadiz at Lamar in Dallas, Texas. 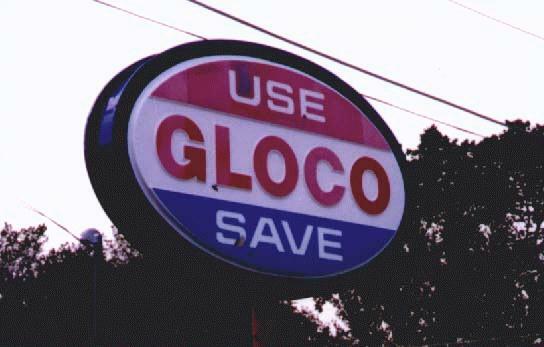 Taken in March, 2006 by Marcia Cirillo. the photographer, please email me so I can properly credit you. 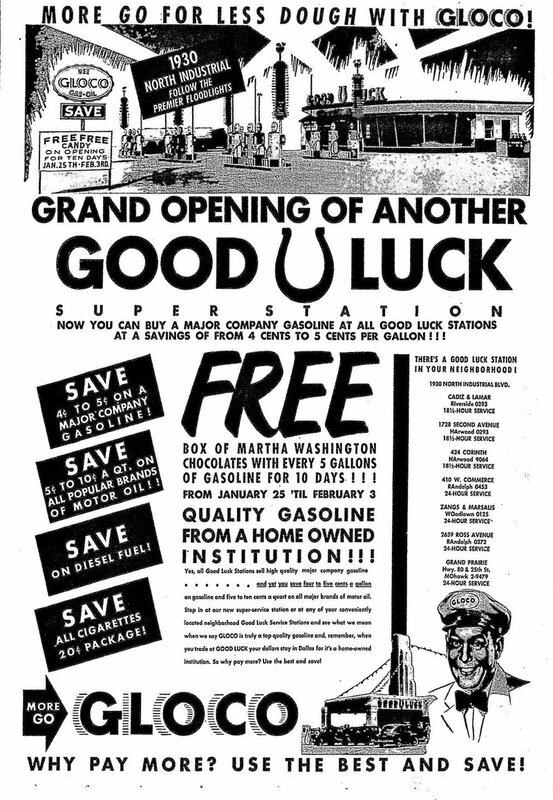 1952 ad for the opening of a new Good Luck station. 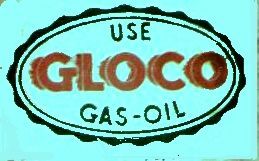 Dated Jan. 25, 1952. From the Dallas News. 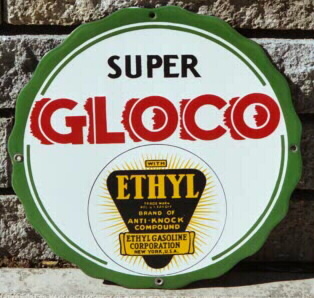 A reproduction of the 1940s style Gloco logo.